A business language which is used for communicating the financial transactions and their results is known as Accounting. The financial information is collected, analyzed, and communicated by Accounting. Who are the audience for learning the concept of Accounting? This tutorial is mainly targeted for the beginners who want to pursue education in financial accounting or business management. 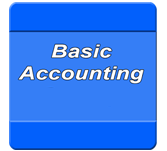 On completion of this tutorial, one can state at a moderate level of expertise in accounting. Anyone with basic knowledge of mathematics can understand this tutorial. What are the prerequisites required for learning Accounting? Good knowledge and understanding of concept of commerce is essential for learning the concept of Accounting. Also Good knowledge about the basic concepts of Mathematics is required for understanding the Accounting concept.